U.S President Donald Trump's administration on Friday placed new sanctions on Iran for its test of ballistic missiles last week, saying Iran defied a United Nations Security Council resolution by carrying out the test. Earlier this week the U.S put Iran on a ''notice" list and has now followed that up more aggressively with the new sanctions - the sanctions will cover Iranian companies and individuals involved in production, resaerch and funding of the missile test, ban of those providing support to Iran's Islamic Revolutionary Guard Corps' Qods Force, and freezing of American bank accounts and assets of people/companies involved in the missile test. National Security Adviser Michael Flynn said the move was "provocative" and Trump has refused to rule out military action if Iran continues it's nuclear program. "Iranian leaders must feel sufficient pressure to cease deeply destabilizing activities, from sponsoring terrorist groups to continued testing of ballistic missiles," Bi-partisan lawmakers wrote in a letter addressed to Donald Trump on Friday. 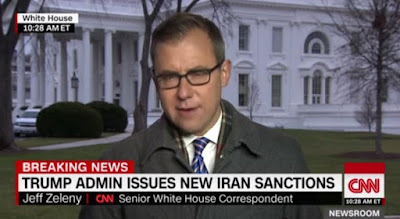 "Full enforcement of existing sanctions and the imposition of additional sanctions on Iran for its ballistic missile program are necessary," the letter said. The move by the U.S Treasury Department under Donald Trump's orders to sanction Iran also attracted praise from senators. "Iran's dangerous and provocative acts are a direct threat to the United States and our allies," said House Foreign Affairs Committee Chairman Ed Royce in a statement. "I'm glad the administration is taking long-overdue steps to hold the regime accountable."